While plenty of New York restaurants have lately made the environment a priority—sourcing their ingredients locally and crafting dining rooms from salvaged materials—none have done so with quite as much visual and gastronomic panache as chef Jean-Georges Vongerichten’s new ABC Kitchen. The chef’s “hippie” restaurant, as he’s taken to calling it, is a stunner, as artfully merchandised as the shop that surrounds it. Everything, including the antique armoires, reclaimed-wood tables, porcelain plates and chandeliers entwined with flowering vines is gathered from area artisans. 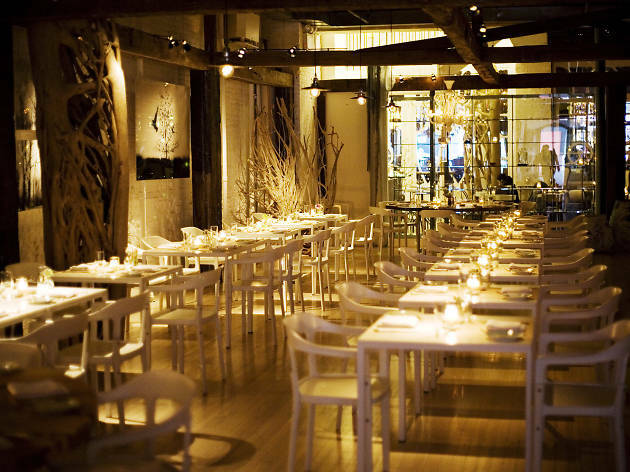 Though the restaurant’s sustainable ethos is outlined on the back of the menu like an Al Gore polemic, the cooking, based on the most gorgeous ingredients from up and down the East Coast, delivers one message above all: Food that’s good for the planet needn’t be any less opulent, flavorful or stunning to look at. The Italian-American supper clubs immortalized in mob movies and sepia-toned photos were never as dreamy as they seemed. 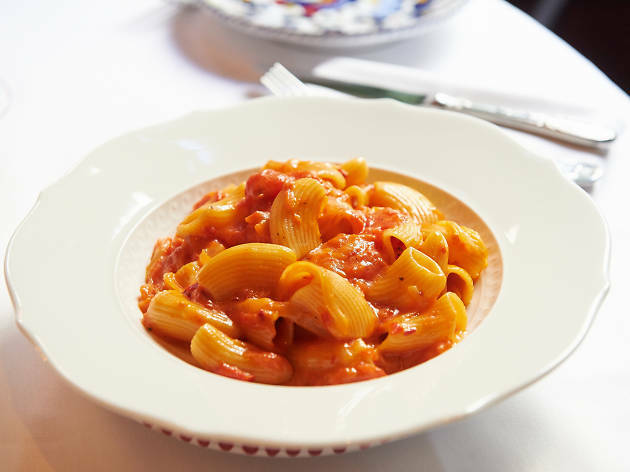 And the red-sauce classics still served behind curtained windows at clubby holdouts like Il Mulino and Rao’s are rarely as inspiring as our memories of them. The young guns behind Carbone, though, have moved beyond sentimentality in their homage to these restaurants by flipping the whole genre onto its head. Like Torrisi and Parm, their earlier projects together, it’s a hyped-up spin on a vanishing form, a restaurant where, bread sticks to bowties, everything looks, tastes and feels like much more of itself. 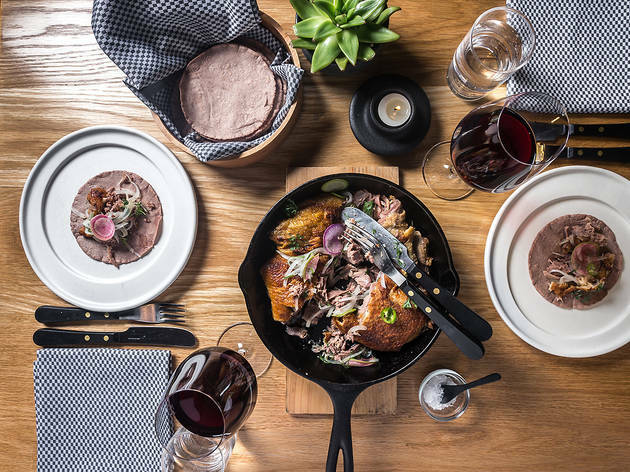 This city has devoured the best of them: Spain’s Dani García, Toronto’s Susur Lee and, most glaringly, France’s Alain Ducasse. 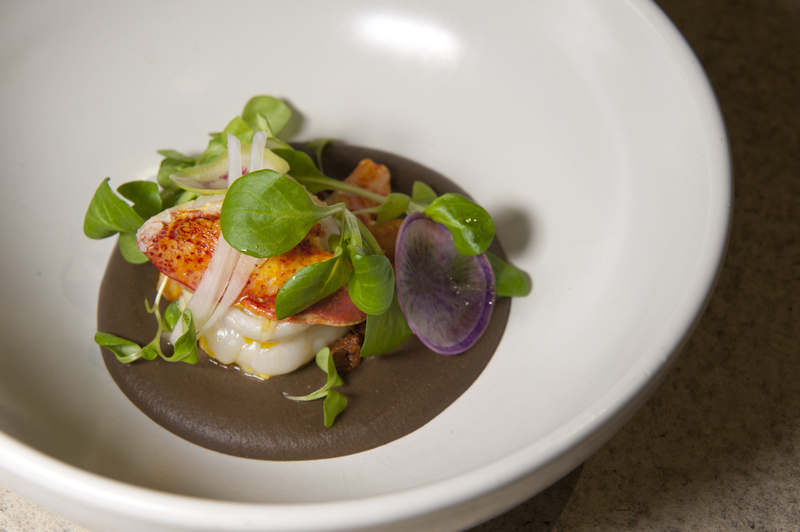 Enter Enrique Olvera, the megawatt Mexico City talent behind Pujol, regularly ranked one of the 20 best restaurants in the world. His stateside debut Cosme, a bare-concrete Flatiron dining room, wasn’t met with the disregard that crippled his carpet-bagging comrades. Instead, the opposite: a bellow of buzz that hit before doors were even hinged, let alone opened. That’s because this is the Mexican restaurant New York has been missing. 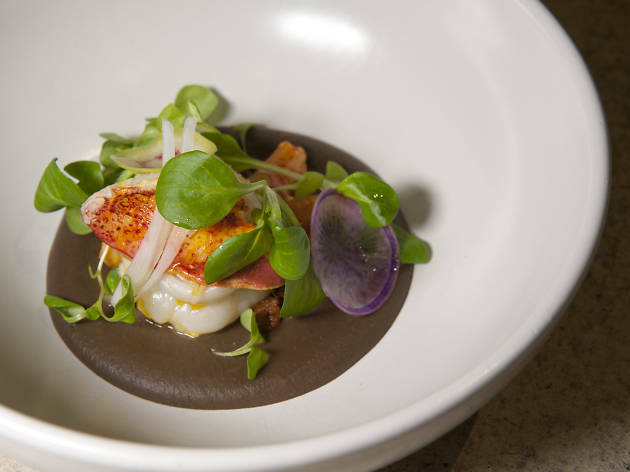 Olvera’s elegant, high-gear small plates—pristine, pricey and as market-fresh as anything coming out of Thomas Keller’s kitchen—more than fills that gap in New York dining. It steamrolls right over it. 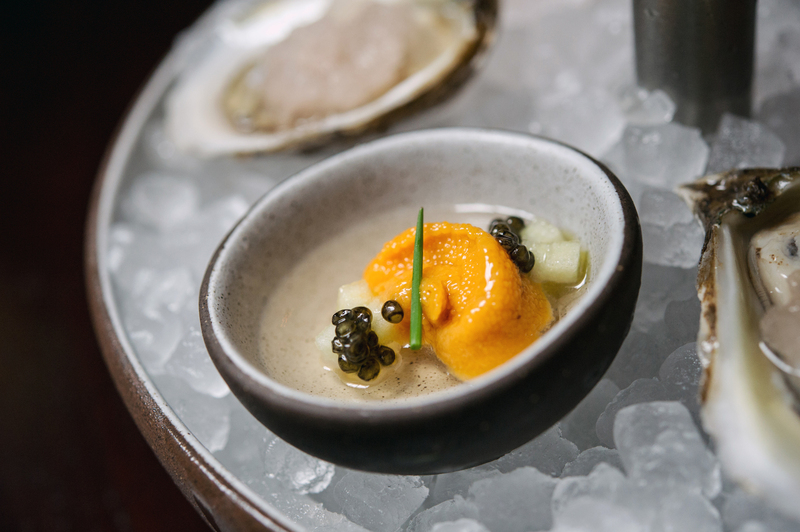 The most classically opulent of the city's rarefied restaurants, Daniel Boulud's 15-year-old flagship emerged from a face-lift last fall, looking about as youthful as a restaurant in a landmark Park Avenue building realistically can. The sprawling dining room no longer resembles the doge's palace in Venice. Instead it's been brought into the 21st century with white walls, contemporary wrought iron sconces and a centerpiece bookshelf lined with vibrant crystal vases among other curios. 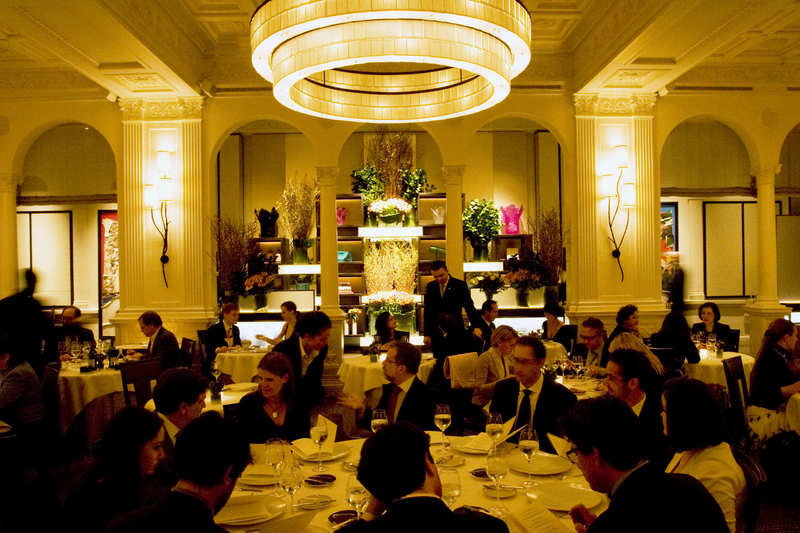 The redesign, by longtime Boulud collaborator Adam Tihany, couldn't have come at a better time. With even neighborhood regulars keeping an eye on their budgets, now more than ever the place needs to cultivate a new clientele. 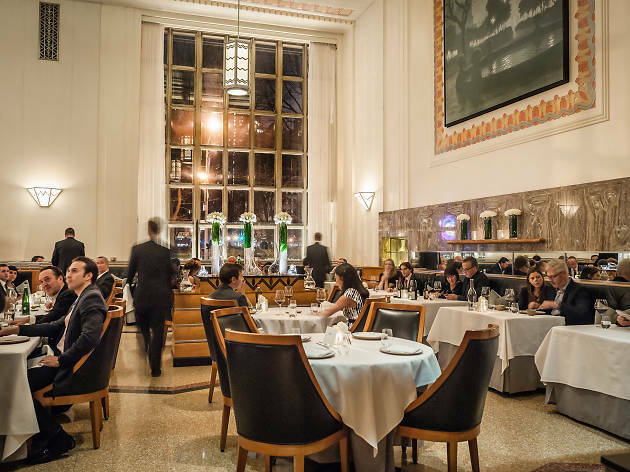 Despite Boulud's ever-expanding reach, the chef still prowls the dining room here most nights, charming fans and sending extras to his special guests. 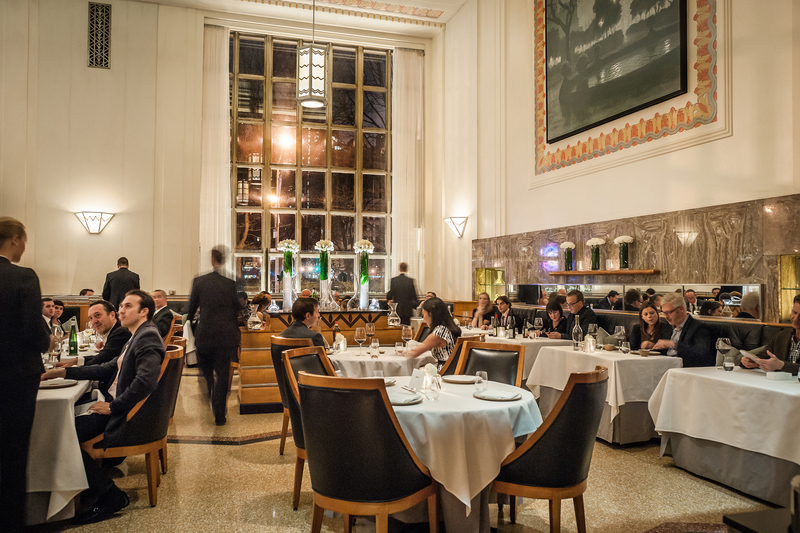 On the international battlefield of glorified gastronomic destinations, Eleven Madison Park has racked up enough glittery accolades—from Michelin, the James Beard Foundation and World’s 50 Best Restaurants—to rival a five-star general’s bedazzled chest. 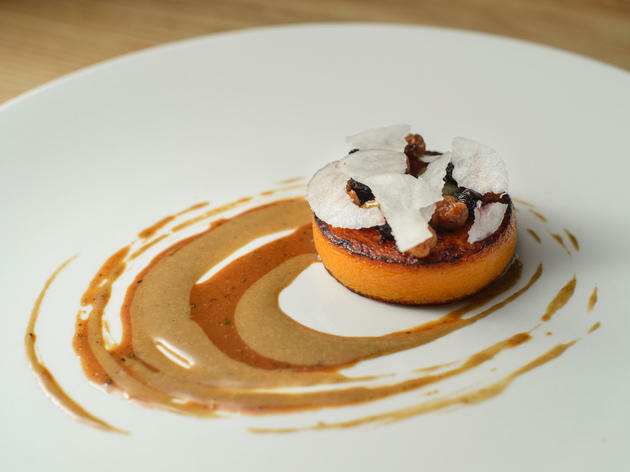 It was already at that fine-dining pinnacle in 2010, when it tossed the traditional à la carte menu in favor of an abstract grid of ingredients meant to provoke conversations between diners and servers. Then three months ago, it scrapped that tack, too. 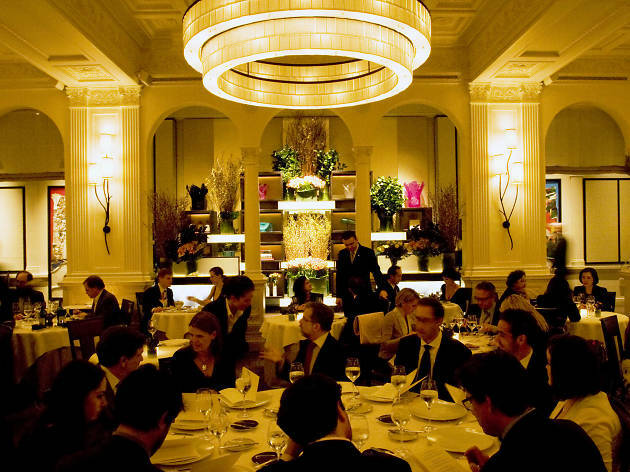 Chef Daniel Humm and impresario partner Will Guidara—who bought the place from their old boss, legendary restaurateur Danny Meyer—are masters of reinvention, taking big gambles with bold shake-ups, instead of making gradual tweaks. And once again, they’ve ditched a winning formula, this time for a 16-course Gotham-themed meal—marked by stagecraft and tricks—that departs from the city’s upper echelons of old-world dominated fine dining. Over the past few years, some of the most inspired food in New York has emerged from the most unlikely locales—an old diner on a highway overpass in Long Island City (M. Wells), a repurposed garage out in Bushwick (Roberta’s). 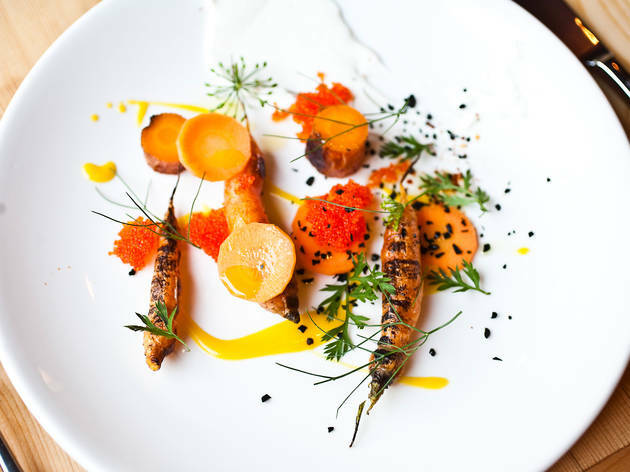 Isa, in Williamsburg, joins this group, pushing the mash-up of high-concept cooking and a down-market setting to scruffy new extremes. 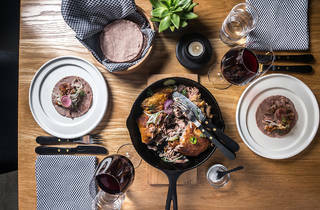 The log-cabin-like restaurant features firewood stacked high against one wall, feeding an oven that heats the dining room and another that bakes bread, roasts meat and singes Greenmarket produce. Smoky aromas of campfire cooking engulf you as you walk through the door, eyes adjusting to a candlelit space filled with handmade wood furniture. 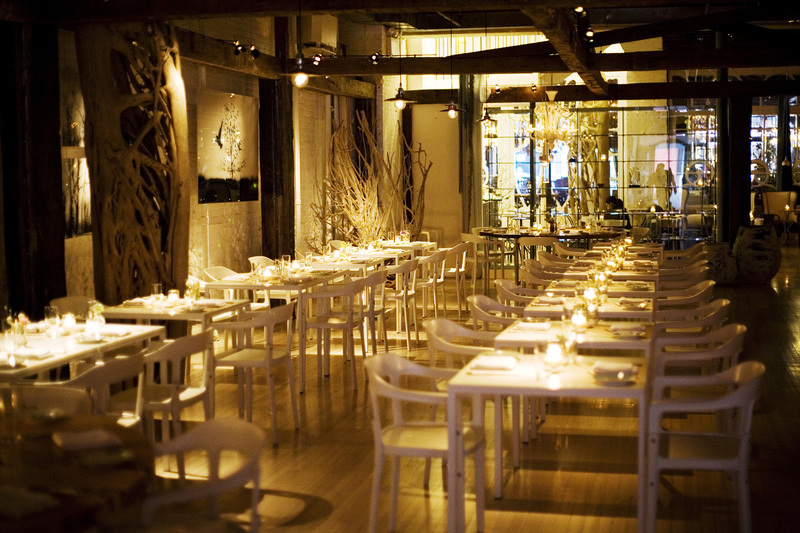 The setting screams of a simple, back-to-basics ethos. 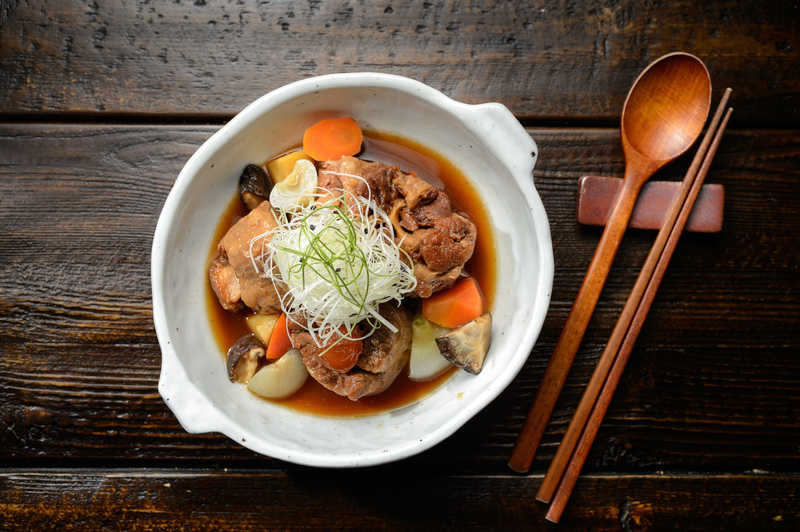 But the food here tells another story, with flavors teased out using cutting-edge cooking techniques and plating straight from the pages of a coffee-table cookbook. In the golden age of robber baron New York—we’re talking turn of the last century—there were hotel restaurants like the NoMad all across the city, their grand dining rooms buzzing with beau monde patrons morning till night. The recent return of the all-day hotel clubhouse began with hip reinventions of the form at the Standard, Ace and Gramercy Park Hotels. But the NoMad, with its rich mahogany bar and dining rooms shrouded in red velvet curtains, is our first truly opulent throwback. 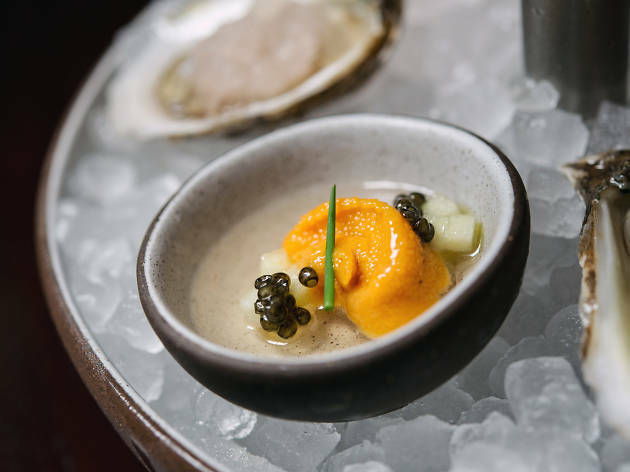 The luxurious setting, flawless service, and preponderance of foie gras and truffles call to mind an haute cuisine titan like Jean-Georges Vongerichten or Daniel Boulud, but updated with a fashionable crowd and cool, voluptuous vibe. The ultimate Netflix-binge, couch-potato snack has arrived, New York—it’s the honey-buttered chips at Oiji, an instantly craveable take on the cultish South Korean junk food that coats thin-cut potato crisps in a salty-sweet, nectar-of-the-gods glaze. 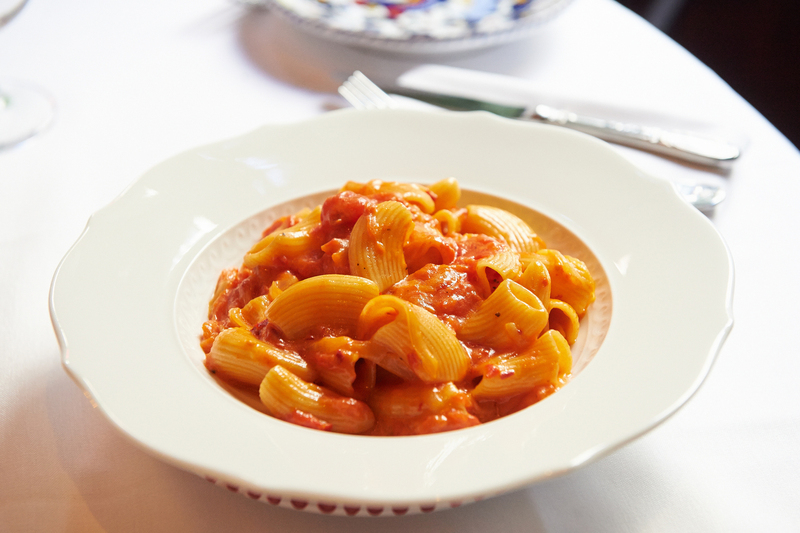 It’s the last thing that comes out of the kitchen during a meal here and the first thing you’ll order when you return. 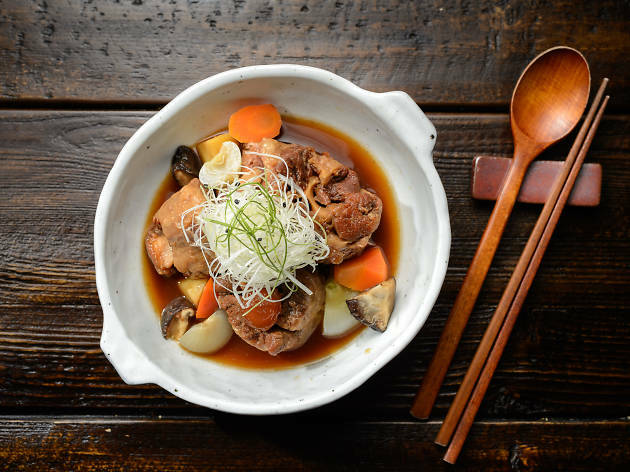 It’s not the only successful Korean retooling that South Korea–born fine-dining vets Brian Kim and Tae Kyung Ku (Bouley and Gramercy Tavern, respectively) put forth at their neoteric East Village nook. Bibimbap is deconstructed into a DIY “seven flavors” ($14), whisper-thin rice-flour crepes joined by a range of toppings that include julienned carrots, shiitake mushrooms and egg whites. Craggy Korean fried chicken is reborn as arguably the most ethereal chicken cutlet ever ($13), trading grease traps of batter for a delicately crisp tapioca coating. Branden McRill and Patrick Cappiello look like any two guys you’d find walking down the Bowery—plaid-shirted, sporting stubble and, in Cappiello’s case, serious arm ink. 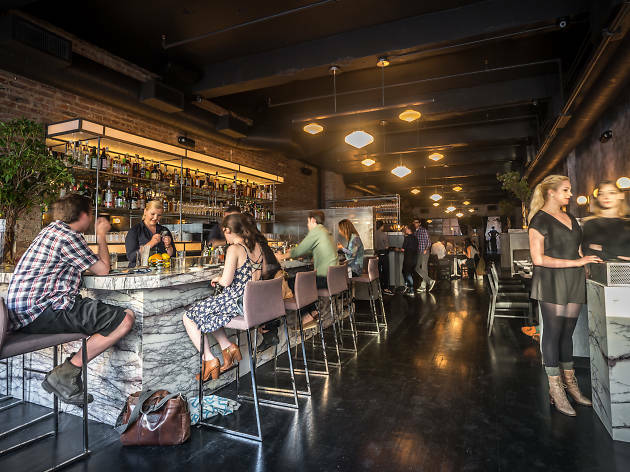 But despite such slacker appearances, the young guns are behind two of the most impressive wine programs in the city: first at ambitious Nolita dining room Pearl & Ash and now this neobistro sibling next door. 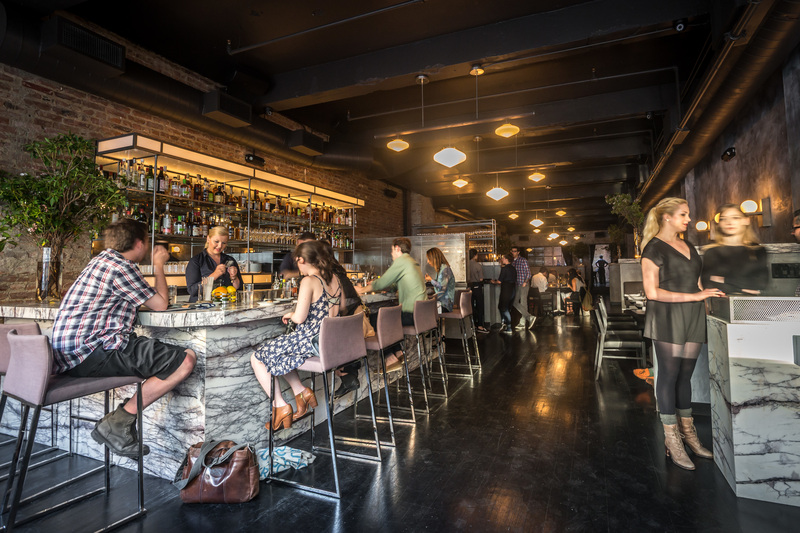 And like its owners, Rebelle seamlessly blends East Side edge with sommelier sophistication. Thick as a hotel-drawer bible, the French-American wine list is a staggering 1,500-bottle selection that runs the gamut from a $22 Paul Blanck riesling to a nearly $4,000 Le Pin Pomerol 1982. Helpful, handshaking bartenders are quick to guide you through the sizable tome, in between stirring oohs and aahs from the crowd every time they whip out one of the bar’s space-age Perlage pressure tombs. José Ramírez-Ruiz and Pamela Yung don’t let dishes marinate on their menu long enough to become signatures. Instead, the partners, in both life and the kitchen, cut their ever-evolving creations with a macabre glee to rival George R. R. Martin. 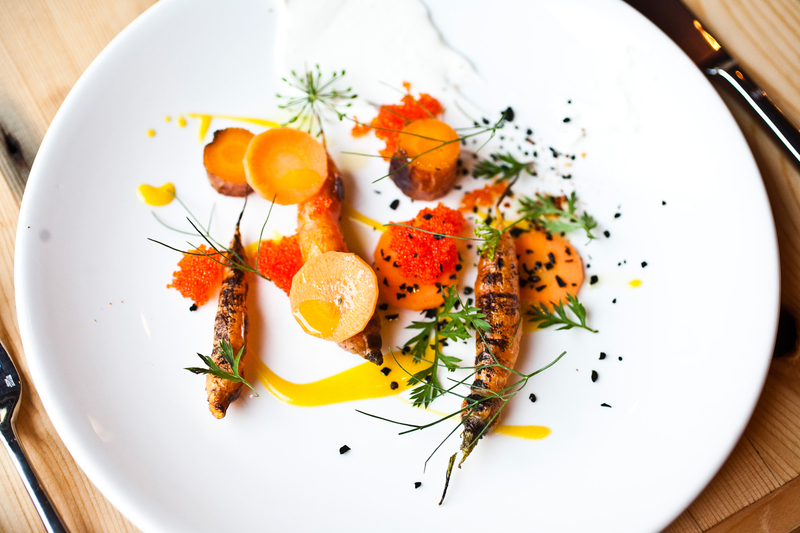 There’s no set menu at Semilla (Spanish for “seed”), the pair’s intimate, vegetable-forward chef’s counter, with the rootsy output (8–10 courses for $75) changing weekly, sometimes daily. That spontaneity allows for constant revisions and brainy inventiveness—not a surprise given the couple’s pedigree. 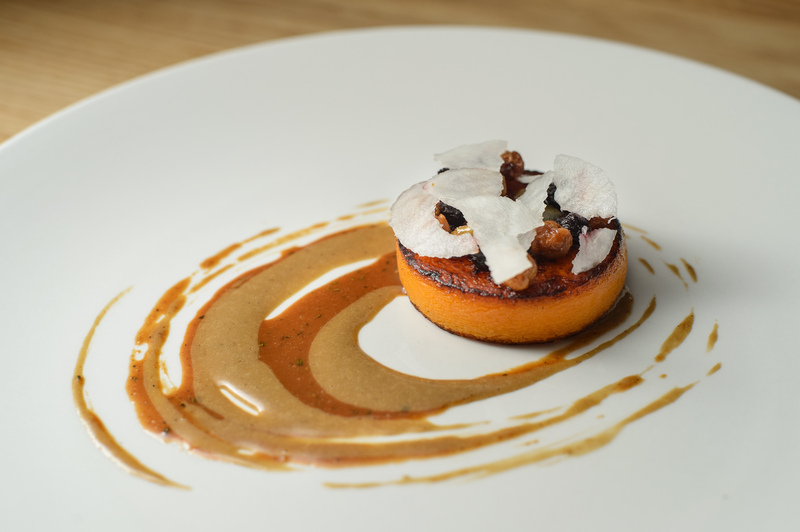 Ramírez-Ruiz put in time in the experimental kitchens of César Ramirez at Chef’s Table at Brooklyn Fare and the Ignacio Mattos–era Isa, while Yung honed her skills via serious-minded pastry programs at Roberta’s and Torrisi Italian Specialties. Their cooking is as high-flying as it is powerfully fixed to the earth, a cerebral quality offset by genuinely warm service.